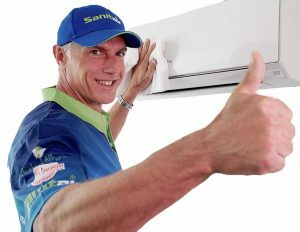 Sanitair have been Cleaning and Sanitising all brands and types of air conditioning systems Australia wide for over 14 years. Specialising in Split System Air Conditioning which includes Hi wall, 4 Way, Under Ceiling and Floor Cassettes. We provide HVAC Hygiene remediation for both Domestic and Commercial Ducted air conditioning systems. Sanitair technicians are located in every state and territory of Australia and offer a 12 Month Mould FREE Guarantee on every premium service. We have performed over 200,000 services for residential, commercial and government customers since 2005. Located some 75 kilometres from the Melbourne CBD, the municipality covers 1,247 km², comprising country, coastal and suburban areas. Greater Geelong is bounded by the Moorabool Shire in the north, Wyndham City and the Borough of Queenscliffe in the east, Surf Coast Shire and Golden Plains Shire in the west and Bass Strait in the south. The region is characterised by the multi-award winning Waterfront overlooking Corio Bay, the picturesque Bellarine Peninsula, the Barwon River, You Yangs Regional Park, wetlands and wildlife sanctuaries. 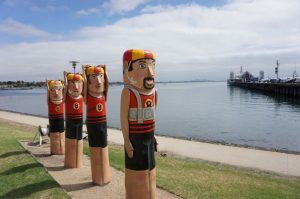 Geelong is also the gateway to the world renowned coastline of south-west Victoria via the Great Ocean Road.